I heard on the radio today that somebody felt ‘helgtrött’ – suffering from ‘ weekend exhaustion’. 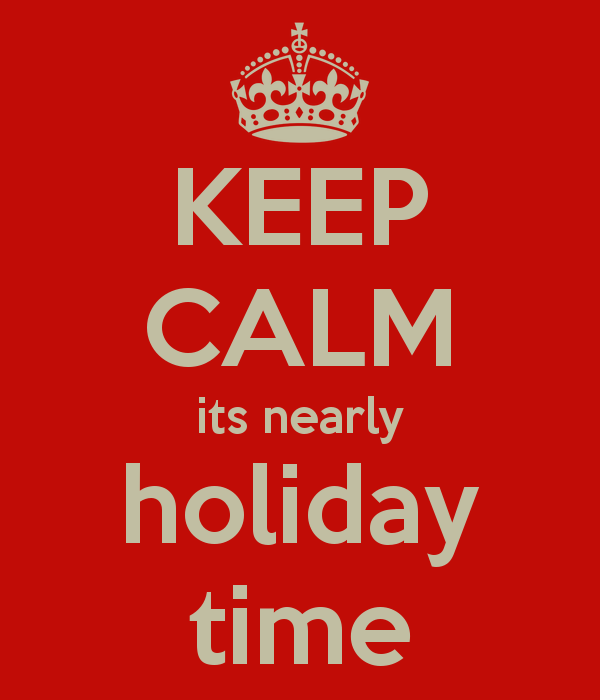 Just as well then that today starts a long work period with no public holidays. After the extended Christmas, New Year and Epiphany break, there isn’t another break until Easter on 30 March 2018. That’s almost 12 weeks! Many Swedes think that this is dreadful and have coined the phrase ‘oxveckorna’ which literally means oxe weeks. Now begins the period of working as hard as an oxe! Are Swedes always off work? This is a frequent comment I hear when I work internationally. Colleagues and sometimes customers abroad, are irritated by the fact that they can’t get in touch with Swedes from, for example, the end of June to the second week of August. Sweden seems to be shut down! ‘Swedes never work, and are also lazy’ – they say. I, of course, defend Sweden’s holiday structure by emphasizing that people work longer hours in the winter to compensate for shorter hours in the summer time. Or that the winters are so long here, it’s only natural that people want to be off work during the warmest, brightest time of the year. Or that thanks to advances in technology, Swedish employees are often still accessible though they might not be at the actual workplace. Or I even try the argument that Sweden has a healthy work-life balance. These arguments however often fall on stony ground and I am often disbelieved. People shrug their shoulders, shake their heads and roll their eyes. From their perspective, Swedes are spoiled. I try to encourage cultural understanding, I really do. But sometimes it’s not that easy. For example, situations like this Christmas and New Year don’t help me to be more persuasive. While most Americans got 3 days off work and many Brits got 5 days of work, Swedes frolicked in the free time they were able to access. This festive period was commonly referred to as an ’employees’ Christmas’ meaning it was good for the employees and not for the employers. Many Swedes (and me too) are back to work for the first time today, and have been free since the 23rd December 2013. That makes a total of 12 days off work – 16 days if you also count the weekends. You see Swedes don’t only take the national holidays off – they also take off the ‘Eve’. So although ‘Christmas Eve’ and ‘Midsummer’s Eve’ are technically not national holidays, they are celebrated as though they are. And then it’s also considered a right to be able to take off a half a day before the ‘Eve’ just in order to get ready for the approaching celebrations. If a national holiday falls on a Thursday or a Tuesday then there’s also something called a ‘Bridge day’. It’s not officially a holiday but most people take it off because there’s no point in going in to work for just one day is there? This Christmas season had a couple of bridge days in it to pad out the time taken off work and required only a little bit of personal holiday leave to be taken. So the question becomes are Swedes happy that they got 16 days off work? I think most are. But on social media, in the office and on public transport, others complain that it wasn’t long enough, that they’re exhausted or that they need a break. Mmm, maybe there’s something in the perception of the spoiled Swede?